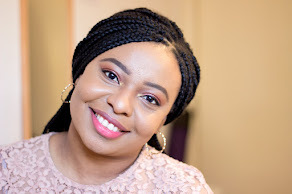 Sleek Cosmetics is one brand I really like because they have a really wide range of products that suit different skin tones especially women of colour. I knew Sleek back when I lived in Nigeria and it is the one stand I always check out when I pop into Supedrug or Boots. 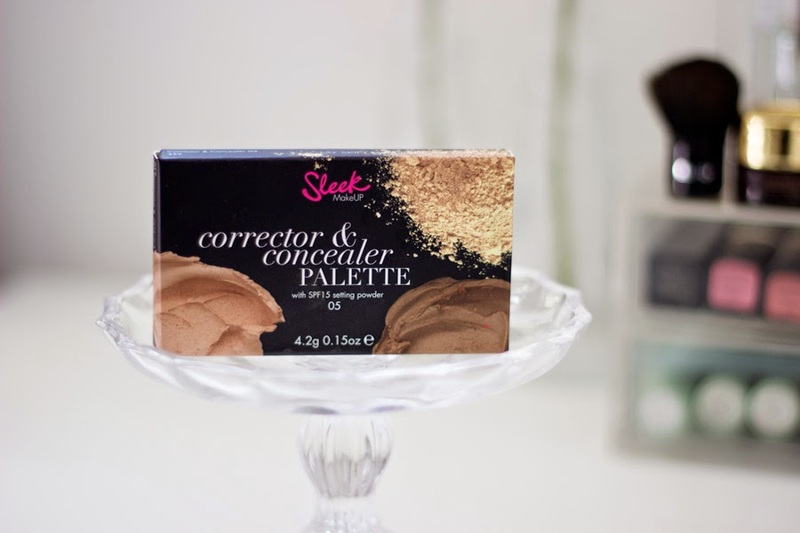 I saw this Sleek Corrector and Concealer Palette a few months ago, possibly in May, and I was happy to see my correct shade was available because I never find medium/dark shades of Sleek products left because everyone else seems to get there before me. I am not sure when this was launched but I think it may have been last year. The good thing is you can swatch this in Boots or Superdrug to determine what your shade is. I like Sleek Packaging because it is Sleek (pun intended obviously) but seriously, I think it looks classy. It reminds me of NARS and ELF packaging which are equally classy and sturdy. I like how compact the palette is because it is travel friendly. 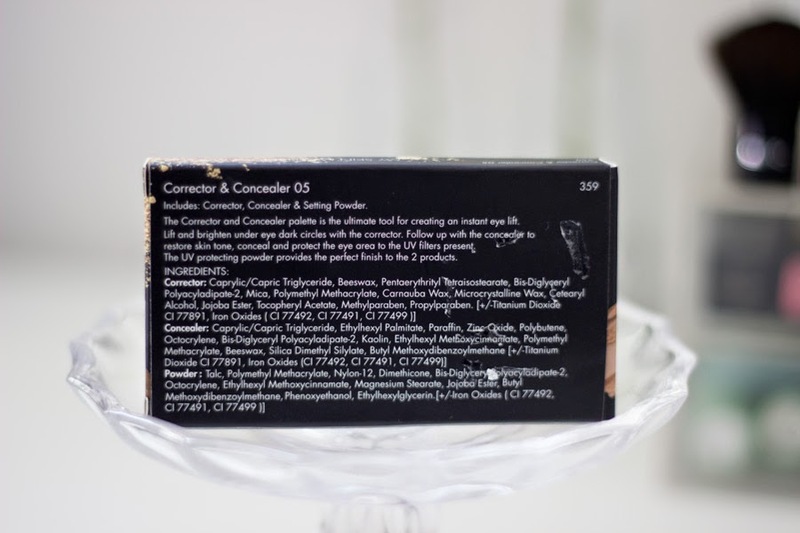 The packaging is Matte Black which makes it easy to clean for the most part (although finger prints may be more evident with its Matte finishing). It also has a small mirror which I really like; I actually love Sleek's packaging because they always include a mirror which means you can do your makeup on the go. Also, it contains 4.2g of products which in my opinion should have been more even if it will cost extra. My shade is 05 which is more of a medium shade. I was going to write medium/dark but Sleek's Dark is really dark and has never worked for me. Medium is always my best bet in this palette and the Face Form. 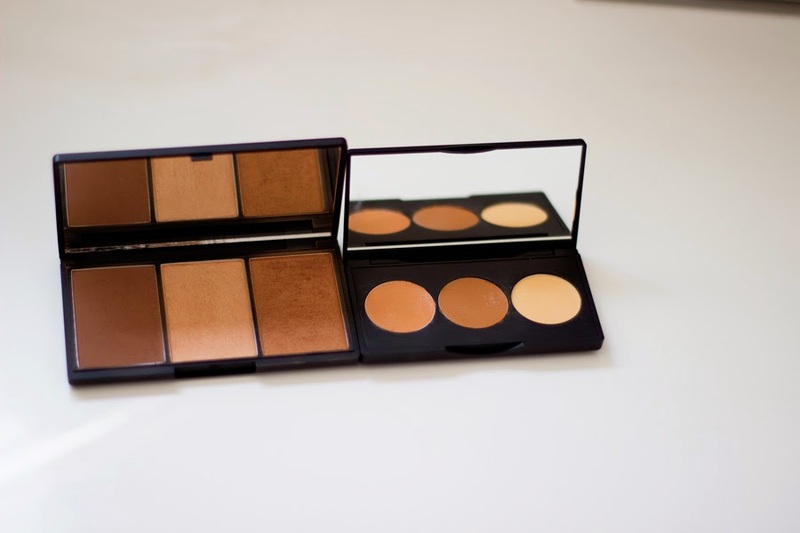 In this cute palette you get a Corrector/Highlighter, a Concealer and a Setting Powder and these products have an SPF 15 which is quite handy as I did not expect that. 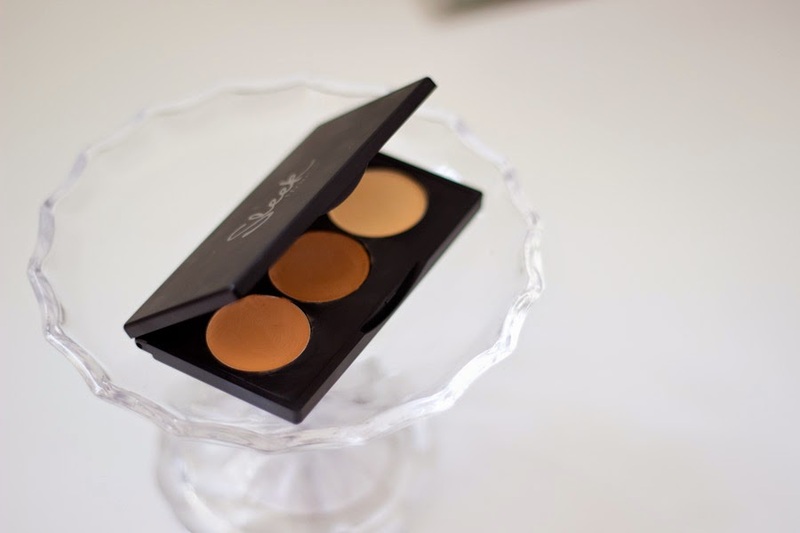 Can I just declare my love for the concealer in this palette? I really wish it was sold separately a I would have purchased a backup in a heart beat. 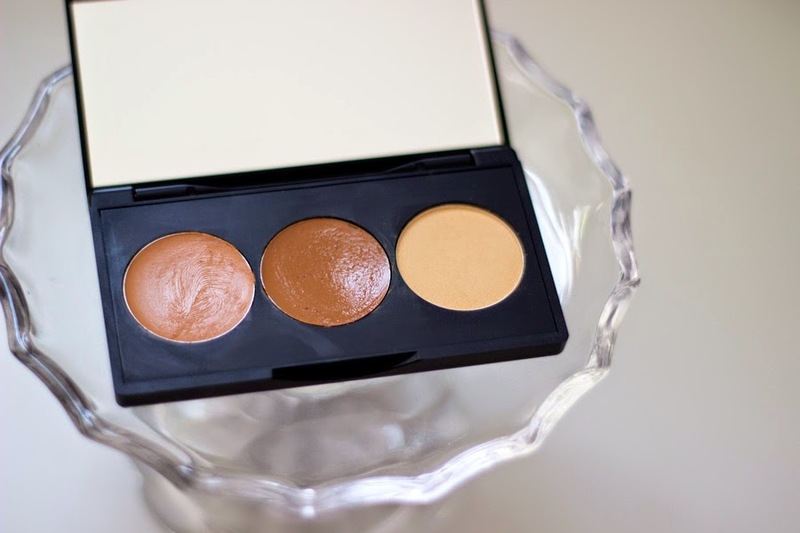 The Concealer offers a medium coverage, with a creamy consistency, that is relatively buildable but I tend not to build up my concealer. 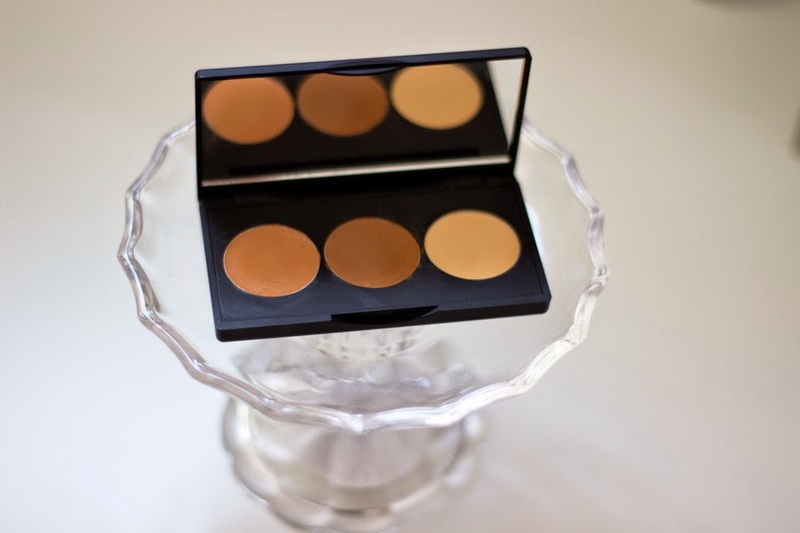 It is perfect for concealing my dark blemishes and I really like it because its lasting power is good and excellent when I set it with a powder. It feels light on application but its coverage is really good which is why I like it and there is no cakey feeling during or after application. To apply this, I use a concealer brush or my fingers and dab gently at any areas I wish to conceal. It applies a little darker in this picture but it's actually not this dark in real life. Next up is the Corrector which is similar to a dark peach shade (not that, that sounds right tho) but that's the closest description I can think of. I use this for under my eyes and it does the job. Just like the concealer, it applies really well with a brush or fingers; I think fingers are best as it warms the product up a little. However, I find that this creases under my eyes after a while even when I set it with the setting powder which is rather sad because I actually like it. I also don't think the lasting power is as good as the concealer but it does the job just that it's not my favourite of the lot. The last product in this palette is Setting Powder which is pretty basic and I use it mainly for setting the concealer under my eyes. I quite like this powder and I think complements the corrector and concealer. Although it looks rather light (it is actually yellow toned), it actually blends with the rest of my makeup which is good. 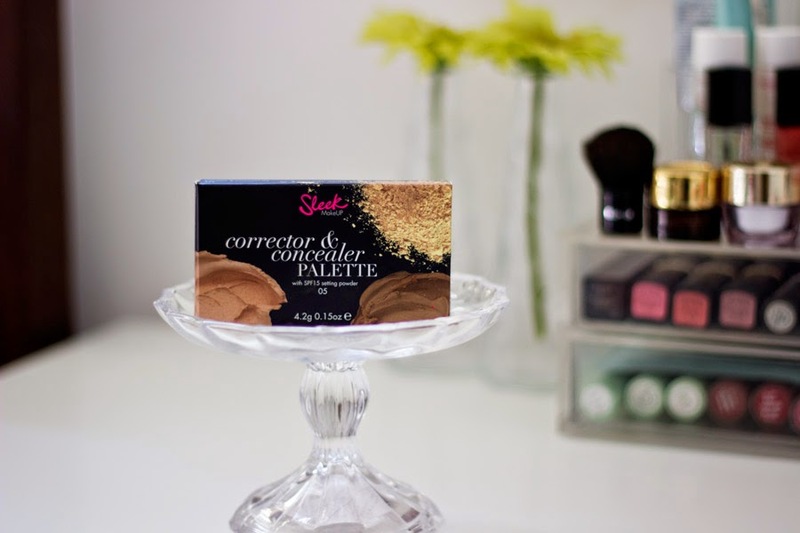 The size of this palette is really small (4.2g) which can be a pro if you are travelling but in terms of content, the products in itself are quite small and I have hit pan in the concealer as we speak and the corrector appears to be next. I don't mind paying a little extra for more products because I actually like this palette a lot. Another con will be keeping this palette clean and this is also due to its small size. Because it is small and the products are close to each other, it means they can be product transfer especially if you use a brush or even fingers which is not the best. Personally, I hate to see my makeup all murky so I try to clean it every time I use it but when I am hurrying out to work..Ain't nobody gat time fo' dat. Honestly, these are just my pet peeves and I don't really think they are massive cons rather they are just things you need to be aware of if you want to purchase it. and amazing colors on this palette!